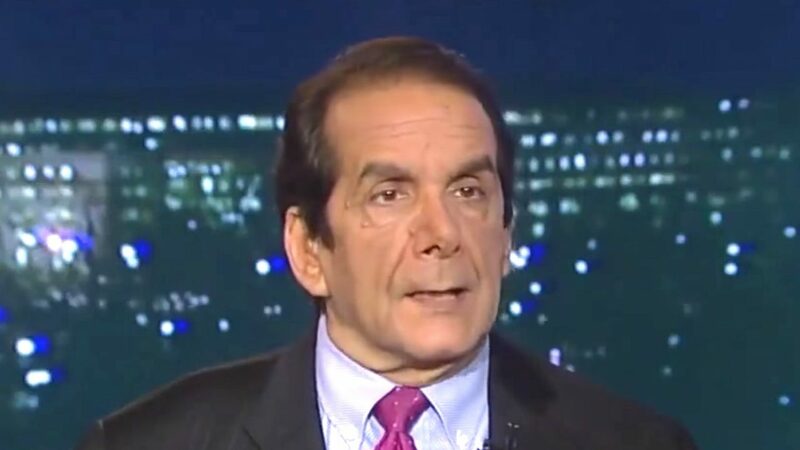 15 Nov, 2017 by	Margaret M.
The Fox News host has been missing from the station for weeks now without any explanation, but Charles Krauthammer, 67, has finally come out to comment on his condition. In 1971, Krauthammer was paralyzed in an accident and has been a wheelchair user since the age of 22. Now, in a new letter, the commentator is saying that he has spent the last 12 weeks recovering from a major surgery and has left the ICU to be placed in an “advanced rehab facility to regain [his] strength and stamina.” He said that with the support of his family, friends and viewers, he is sustained on the long road to recovery. Other than that, there are very few other details left for viewers. Bret Baier on Fox News had mentioned Krauthammer’s absence in the past without giving any real details. In 2014, back before the Black Lives Matter movement, Krauthammer gave an opinion with Fox that there is no such thing as a war on young black men by the police, but rather it’s the other way around, pointing out that a police officer is killed in the line of duty every 53 hours. We said at the time that it reinforces that Obama enjoyed being the President so long as he didn’t have to actually do anything that a President ought to do.
.@krauthammer pretends to be a smart guy, but if you look at his record, he isn't. A dummy who is on too many Fox shows. An overrated clown!